A loft conversion in Southwater has been a great option over the last couple of years. It is ideal for creating more space at an affordable price. There are a lot of new building developements going on at present in Southwater which tends to start making people think about moving or extending their existing property. There are many differnt types of loft conversions that can be done to properties in Southwater, but to get great ideas please contact us and we would be happy to sit down with you and do a feasibilty report to see if there are any restrictions as well as coming up with many ideas you may not have thought of yourselves. Above are a couple of images from our latest build that is having a loft conversion in Southwater. The inside is still being finished to a high specification and we will post images when complete. 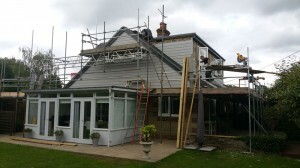 The images show a front and side view of the loft conversion at different stages of the build. 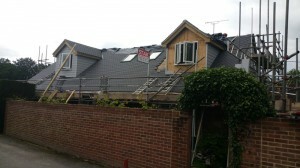 A typical loft conversion in Southwater can vary from 6 to 8 weeks from inception to completion, however other factors may come into play such as weather. The timescale will be reflected by the complexity of the build and its specifications though. 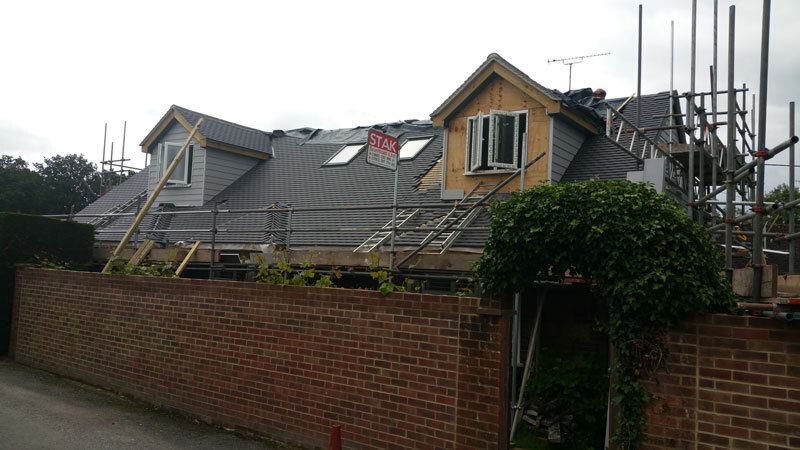 The images above are during and after pictures of a bungalow loft conversion from the outside in Southwater by Northern heights Loft Conversions. For more information on this conversion please call us. For more examples of our loft conversions in Southwater see Woodpeckers and Blakes Farm pages. We are on available to answer any questions or queries, or look first on our FAQ page. Do feel free to contact us at Northern Heights Loft Conversions if you want more advice or information and we will be more than happy to provide you with an expert service and advice for a loft conversion in Southwater.